Novel stem-cell technology developed at Swinburne will be used to grow the massive number of stem cells required for a new hand-held 3-D printer that will enable surgeons to create patient-specific bone and cartilage. The technology, called BioSphere, is being developed in collaboration with St Vincent's Hospital in Melbourne to support the development of Biopen. The Biopen is a hand-held 3-D printer pen filled with stem cell ink that will allow surgeons to repair damaged bone and cartilage by 'drawing' new cells directly onto bone during surgery and then filling in any damaged areas. The BioSphere technology is part of Yashaswini Vegi's Ph.D. project within the ARC Training Centre for Biodevices at Swinburne in partnership with St Vincent's. "In the near future it will be possible to use a patient's own stem cells to quickly and successfully repair damaged cartilage and bone," says Ms Vegi's supervisor, research scientist Dr. Nicholas Reynolds. "This is possible thanks to stem cells' unique ability to transform into different cells and tissues, enabling us to regrow bones and cartilage inside the patient. "In order to do this, stem cells are extracted from the patient, grown in the lab and transformed into the desired tissue type before re-implantation into the injured body part via the Biopen." Dr. Reynolds says progress in this field has been slowed by a lack of means to generate the very large number of cells required for successful treatments and also a lack of methods to recover the cells from the 'dishes' they are grown on without damaging them. "This will vastly increase the available area for the cells to grow on enabling researchers to generate many more cells than is currently possible," Dr. Reynolds says. 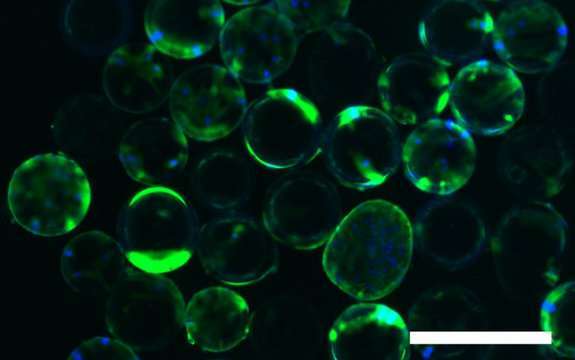 "The surface of the beads will be coated with light sensitive nanoparticles that do not affect the cells' growth until the particles are activated with an infra-red beam. At this point the activated nanoparticles cause the cells to gently detach from the beads, and can be easily recovered for re-implantation into the injured patient." "This funding provides valuable support for the ongoing BioSphere project undertaken between Swinburne and St Vincent's Hospital Melbourne and further strengthens Swinburne's involvement in the Aikenhead Centre of Medical Discovery initiative," says Ms Vegi's co-supervisor and Bioengineering Program Leader – Iverson Health Innovation Research Institute, Professor Simon Moulton.